The lack of action was helped along by a trading halt on some exchanges and most ATMs. 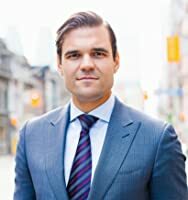 Author Alex Tapscott, who co-authored the book Blockchain Revolution with his father, has started a digital asset investment firm with $20 million in initial financing. The firm, NextBlock Global, will be exclusively focused on investments in the digital asset space. CITIC Bank, China’s seventh-largest lender in terms of total assets, has developed a system for the settlement of credit that uses a blockchain-based electronic transmission network. Named BCLC, the network claims to improve the efficiency of credit operations by transmitting messages within seconds. Cybersecurity firm Comae Technologies has launched the first decompiler for Ethereum Virtual Machine (EVM). 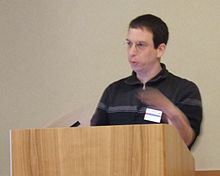 Called Porosity, the decompiler is designed to reverse-engineer the code behind smart contracts into checkable source code. Porosity is tasked to generate human-readable Solidity syntax smart contracts from any EVM bytecode. BASF is a German chemical company and one of the largest chemical producers in the world. African blockchain company BitFinance has added Litecoin and Dash to its digital currency exchange, Bitcoinfundi. BitFinance said it is scaling its exchange services, providing more scope, and widening the number of cryptocurrencies available to those interested in digital assets.